It’s been a while since I played along and hope I remember how to post! I love making triangles with the Tri/Recs Ruler set. So much fun! Here are my 3 blocks. I would have made more but have limited reds in my scrap basket. 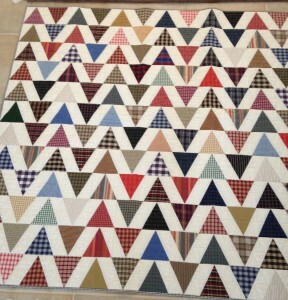 I thought I’d share a triangle quilt I finished recently using homespuns of which I have quite a collection. 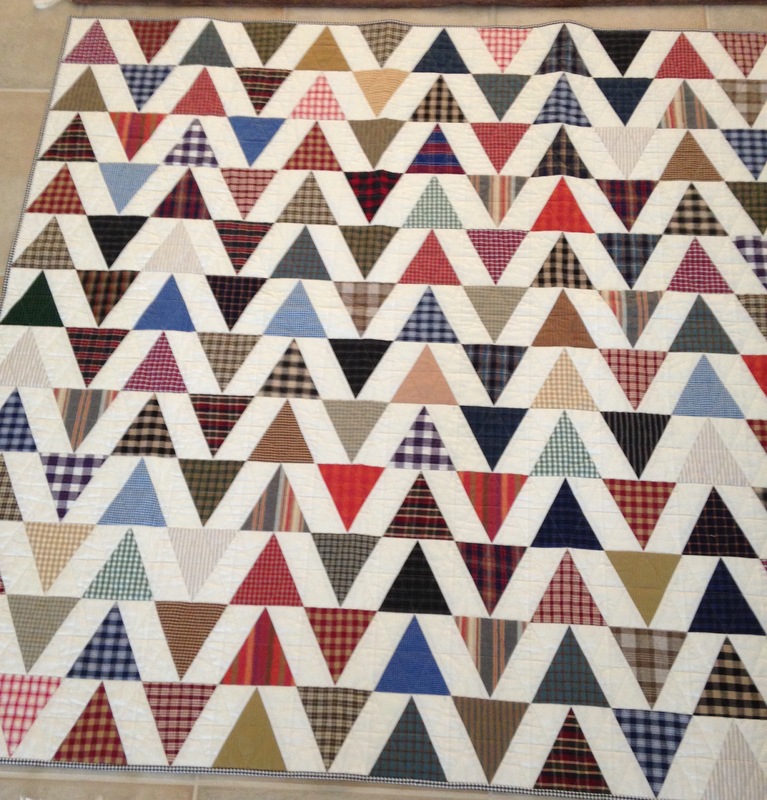 I quilted it with straight line quilting by superimposing a triangle grid on the top. Thanks for reading! 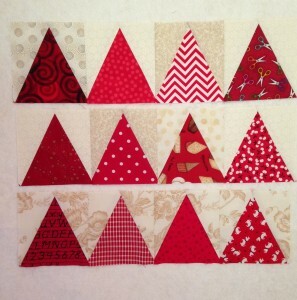 Love that triangle quilt! What a great idea. By the time I finished that, I’d really be an expert with those rulers! I love your Quilt! It looks so cozy it just begs to be curled up in!